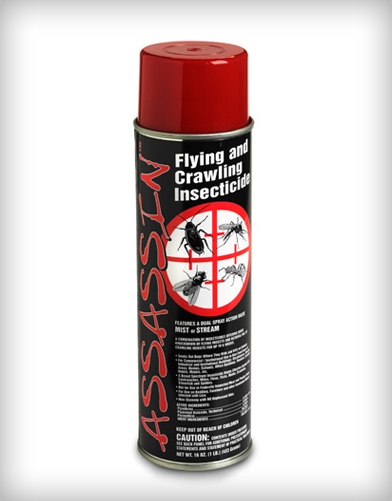 Creates an invisible barrier to kill small flies and other flying insects. 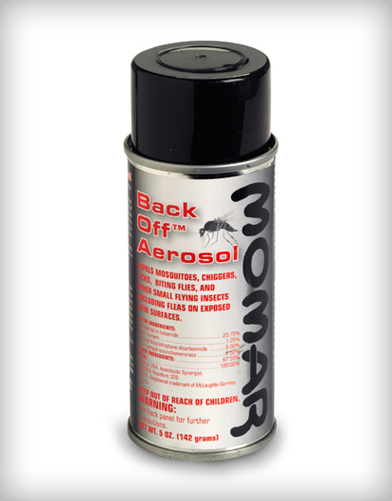 Contains no CFCs or other ozone-depleting substances. 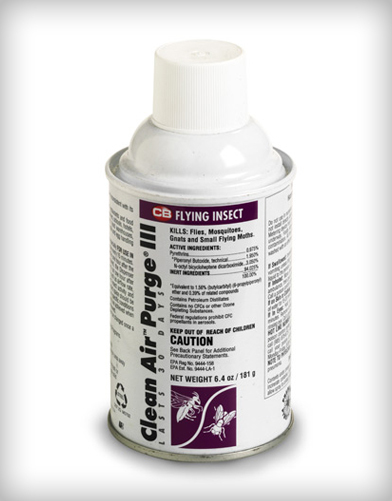 Woodsy fragrance leaves no lingering insecticide odour. Active ingredient is Pyrethrin, a natural extract from Chrysanthemum flowers. For use in food handling and food preparation areas of restaurants and food processing plants, stores, farms, dairies, barns, kennels, factories, schools, hotels, motels, hospitals, chicken houses and more. 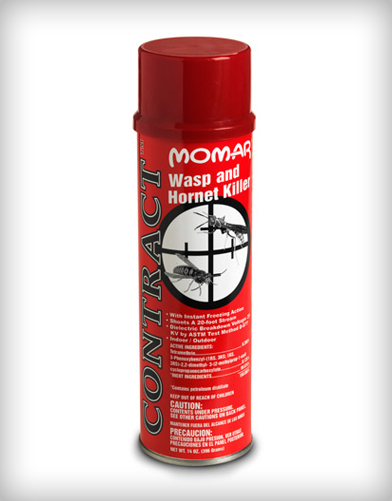 Fits the Momar Automatic Smart Spray Dispener for flying insect control of flies, mosquitoes and small flying moths.